Next generation console focuses on entertainment rather than games. 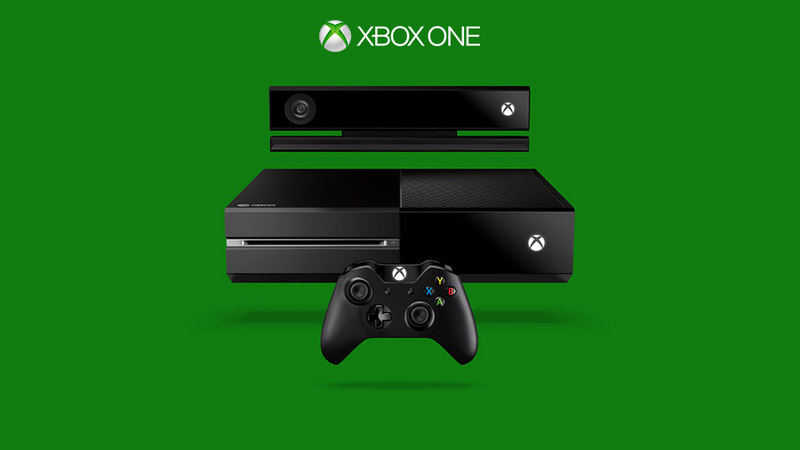 Microsoft has officially unveiled their next generation console which will launch later this year. It's called the Xbox One - bucking the trend of sequential numbering or the rumored Xbox 720, Xbox Infinity, and everything else. The one hour presentation focused on the console itself and the entertainment, architecture and partnerships around it. Perhaps we are seeing the end of the term "videogame console" as there wasn't a single game to be found until 32 minutes into the presentation. 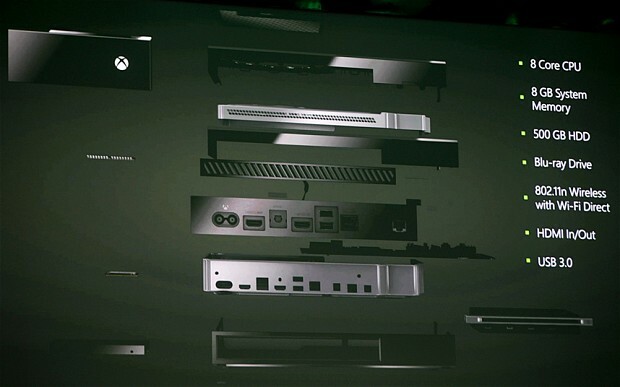 In what was most definitely a small dig at Sony (who failed to reveal what their console looked like), Microsoft opened up the presentation unveiling the Xbox One itself, showing off the console, controller and new Kinect. The console itself is a hulking black box that looks much like a DVR. 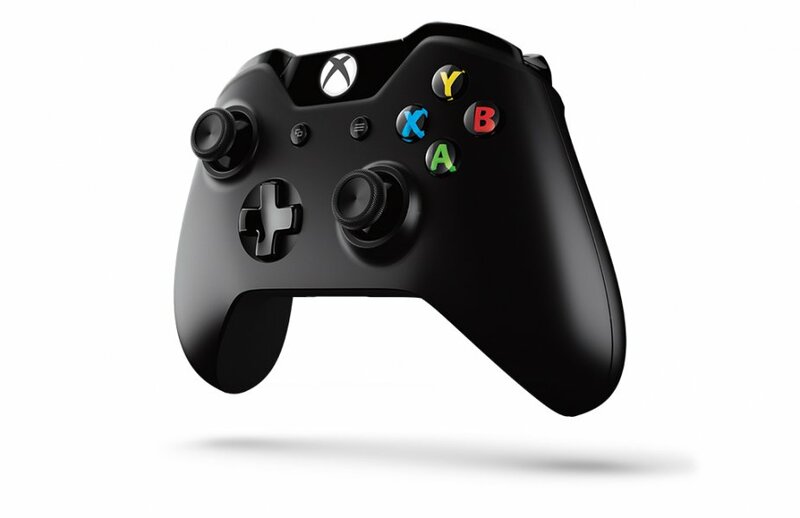 The controller has been redesigned as well sporting individual triggers that can provide feedback, a better d-pad, a new battery compartment and a slightly larger shape. Still it's not too far off the current existing design. Finally the new Kinect looks to be an impressive piece of technology with full 1080P resolution and APIs that can detect muscle tension or even your heart beat. Vitality sensor confirmed? Once fully unveiled it was onto the interface, which doesn't look all that different from the current Xbox 360's. We were told straight off the home screen was customizable, though 1/3 of it was still taken up by a giant recommended panel - that is - ads. A big focus was put on being able to switch between content - with voice commands being used to show realtime switching of TV, games, internet, and other features. In true Windows 8 fashion, a split pane view was also unveiled allowing you to do multiple things on screen at once. For instance the presenter was making a Skype call on the right pane while watching TV on the left. This was best shown with integration with live sports with things like realtime fantasy trackers - which Microsoft used to showcase a new partnership with the NFL. Also announced was a brand new Halo TV series that is being created in partnership with Steven Spielberg. There was plenty of marketing speak, talking about just what's running under the hood of the Xbox One. The Xbox One will include a Blu-ray drive and at least a 500 GB hard drive along with 8 GB of system memory, USB 3.0 ports, an 8-core CPU, 64-bit architecture, built-in Wi-Fi and HDMI in/out ports, and the ability to talk with DVR, DirecTV, and other set top boxes. Finally we got to the games, but not many were shown. A new Forza, Forza 5 was on display - though no actual gameplay was shown. We also saw a new game from Alan Wake developer, Remedy, called Quantum Break. EA Sports took the stage then to unveil their new graphics engine called Ignite. Again we didn't really get to see any gameplay from the sports games. The presentation wrapped up with a whole bunch of Call of Duty Ghosts on display and we were told there would be some co-op - but no details were revealed. All in all the reveal of the Xbox One was a disappointment. It was very light on games and features. Microsoft did say the first year would see 15 exclusive games with 8 of them being brand new IPs. Thankfully we won't have to wait long to get more details as E3 is right around the corner and Microsoft is promising a dedicated focus to why we buy videogame consoles - the games. We'll update this post with the presentation when it becomes available. Page created in 0.8103 seconds.